This company has a passion for food and for customers, pride in the brand and are excited by the possibility of the future. To join this team and start your career, click on the provided link and search for Mimi’s Café jobs. Once you find a position to your liking, fill out the Mimi’s Café application. Mimi’s Café was founded by Arthur J. Simms and his son Thomas Simms, along with Brian Taylor and Paul Kurz in December 1978 in Anaheim, California. In 2004, Mimi’s Café was sold to Groupe LeDuff for $182 million. Today, there are 100 locations in 18 states and their corporate headquarters are located in Dallas, Texas. USA Today reported that Mimi’s Café was voted Favorite Breakfast in an online poll of 6,100 adults conducted by Market Force, a customer intelligence solutions specialist as of August 2014. This is not a surprise because when you have happy employees, you have happy customers. They believe that the employees are not just employees, but members of the Mimi’s family. This company is known for legendary hospitality because they believe that it’s all about the people. How to apply for Mimi’s Cafe online is easy. Find the links provided below under the Job Links heading and begin your search for Mimi’s Café jobs. Research the different options and find an opening that fits you the best. Then complete and submit your Mimi’s Café application. There are many opportunities that you will find when you search for Mimi’s Cafe jobs online. Some of the hourly openings include Cook, Server, Busser, and Host/Hostess. Management positions include Kitchen Manager, Assistant Manager, and General Manager. Other Mimi’s Café careers can be found at the corporate level. These positions include Food Cost Analyst, Human Resources Specialist, and Business Systems Analyst. The type of opportunities listed requires a degree and some previous experience. The company offers eligible employees a benefits package that includes medical and dental insurance, 401(k), sick leave and vacation pay; along with free or discounted employee meals. 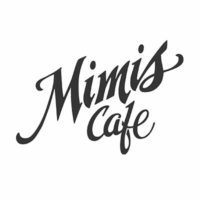 There is a printable application for Mimi’s Café that you can download by clicking the link provided below. To apply for hourly jobs at Mimi’s Cafe, you will need to go into your local restaurant and speak to the manager. Business hours are Sunday through Thursday from 7:00am to 9:00pm and Friday and Saturday from 7:00am to 10:00pm. Assistant Manager – The Assistant Manager has the overall responsibility for directing the daily operations of the restaurant in the General Manager’s absence, ensuring compliance with company standards in all areas of operation, including product preparation, guest relations, restaurant maintenance and repair, inventory management, and team management, ensuring that the highest quality products and services are delivered to each guest. Kitchen Manager – The Kitchen Manager is a hands-on position with responsibility for all restaurant-related functions, systems and processes. The candidate will be able to perform operational duties, supervise teammates’ activities, work with vendors and ensure the integrity of the restaurant and the quality of the food. Other responsibilities include giving outstanding guest service, building sales and providing sound cost controls. Host/Hostess – This position will cheerfully greet and seat guests, monitor the table rotation, assist with customers’ needs such as providing extra silverware or children seats, answer customers’ questions, and answer the phone. Busser – The primary duty of a busser is to ensure that empty tables are ready to receive new guests. When a party departs, bussers remove dirty dishes, sanitize the table, clean the seats and if necessary, sweep or vacuum the surrounding floor. The following questions are those typically asked during an interview for this type of industry. Have you ever dealt with a less than ideal customer and how did you handle it? Answer this question with the three step process; state the problem, what action you took, and how the problem was resolved. How would you foresee yourself spending your downtime? A good answer to this is to do whatever is needed at the time. When all else fails, restaurants constantly need cleaning and this answer will never go wrong. Why do you want to work here? Don’t answer this question with a generic answer nor an answer that is about what the company can do for you. This answer should reiterate what you can do for the company, as well as what the company can do for you making it feel more like a team effort where all parties are satisfied. What is your personal mission statement? Most people don’t think about what their personal mission statement is, so they flounder at this question. A personal mission statement is your personal values that you hold to no matter what. What kind of questions do you have? This is a good time to ask more about the business itself. Do not mention wage or benefits. Instead ask about what the interview thinks is the greatest strength and weakness of the business, as well as what kind of advancement opportunities are available. Make sure to read the application instructions and fill it completely. Update your resume to show off the skills and experience that are needed for the position that you are applying for. Whether you are applying online or applying person, you will have to take some assessments so give yourself plenty of time. Research the company and pick out a few questions that you would like to ask the hiring manager about the company, such as growth opportunities. You will want to dress in business attire for the interview. This means that you should not wear flip flops, shorts or tank tops. You will need to collect the questions that you will want to ask beforehand. Turn off your cell phone, spit out your gum, and if you smoke, don’t do so before the interview. Calm your nerves before entering the building; straighten your posture and put a smile on your face. Show confidence while being relaxed during the interview by having a good posture, smiling, and keeping eye contact. Use your past work history for examples and make sure the examples focus on your strengths, skills, and personality. Always answer the questions completely and concisely without muttering. Show that you are grateful for the time and consideration by thanking the interviewer.